Home / News / How to tell if hernia mesh failed? Hernias have been repaired with mesh for decades but, in recent years, defective design and poor choice of materials caused the number of failures to increase exponentially. Defective or low-quality devices are prone to erosion, breakage, detachment, and migration which may cause even serious organ damage. A mesh could cause a foreign body reaction as the material is rejected by your body or can shrink an contract causing intense pain. Complications are on the rise, and an infected hernia mesh may have devastating consequences which cannot be cured with just antibiotics. To minimize the risk of having to undergo revision surgery, it is important to keep an eye out for any potential symptom of mesh failure and warn your doctor as soon as possible. Be aware that these symptoms may appear even weeks, months or years after the device has been implanted, especially if sutures were used. If the mesh has eroded or migrated, pain can be the first symptom coming from nerve or organ damage. When an infection occurs, you may experience flu-like symptoms as your body fights the infection. A severe inflammatory response may also be a reaction to low-quality materials, and may lead to the formation of scar tissue. Eventually, these tissues may cause organ adhesions or bowel obstruction, leading to abdominal tenderness, bloating and groin pain. Dr. Claudio Butticè, Pharm.D., is a former clinical and hospital pharmacist who worked for several public hospitals in Italy, as well as for the humanitarian NGO Emergency. He is now an accomplished book author who wrote on topics such as medicine, technology, world poverty and science. A freelancer journalist as well, many of his articles have been published in magazines such as Cracked, Techopedia, Digital Journal and Business Insider. Dr. Butticè also published pharmacology and psychology papers on several clinical journals, and works as a medical consultant and advisor for many companies across the globe. 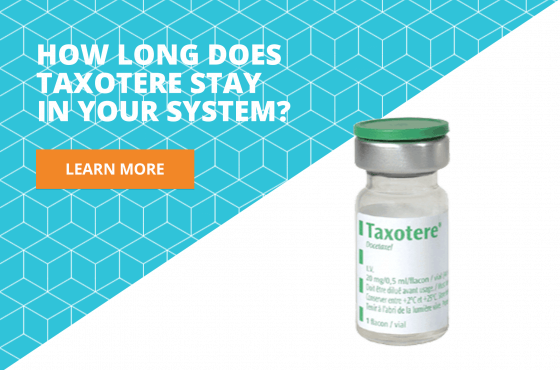 How long does Taxotere stay in your system?